A super driving hole, where a relatively straight drive will be rewarded. 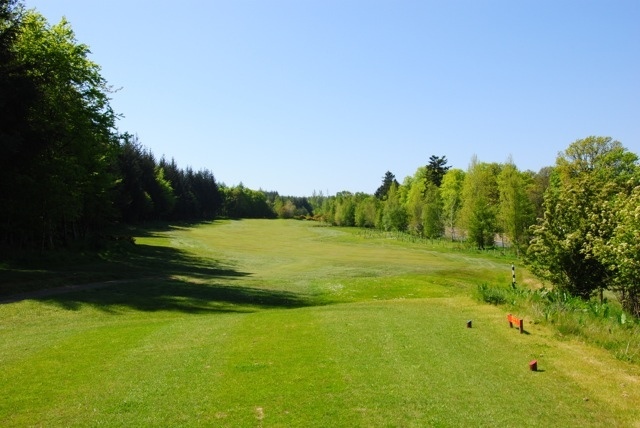 However anything else will end up in trouble, whether it be trees, ditches, deep rough open swail or out of bounds, which runs the full length of the hole on your right-hand side. 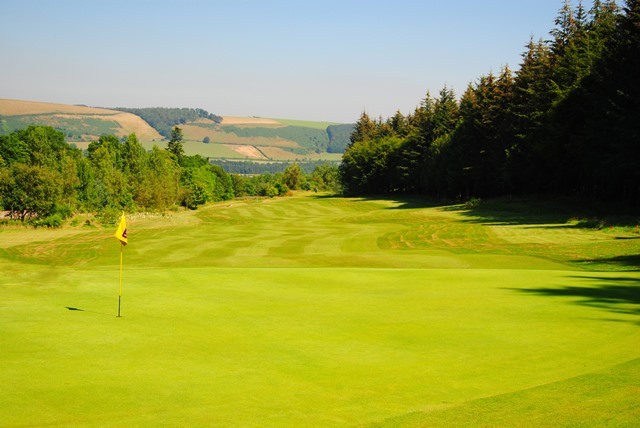 The approach shot to the large green cut into the hill is very inviting, though the hidden pot bunker pin high and the open ditch in play to the left and back of the green make you have to think about club selection and accuracy. Lots of slopes on the green to challenge the best of putters. Separate tees for the 2nd and 11th holes bring the out of bounds more into play second time round which justifies its stroke index 2 rating. Visitors are welcome at our club. Please see the Visitors page for information on green fees and how to book a round. If you are looking to view or enter any of our open competitions please click here to visit our Open Competition Entry Page. If you are not currently a member of the club and are considering joining us, please see our Membership page for full information on subscription rates, joining procedures and membership application form. Alternatively, contact our Membership Secretary direct for more information. If you are a member of the club please see our Members page. Should you wish to discuss club handicaps, please contact our Competition Secretary. © 2019 Melrose Golf Course All Rights Reserved.